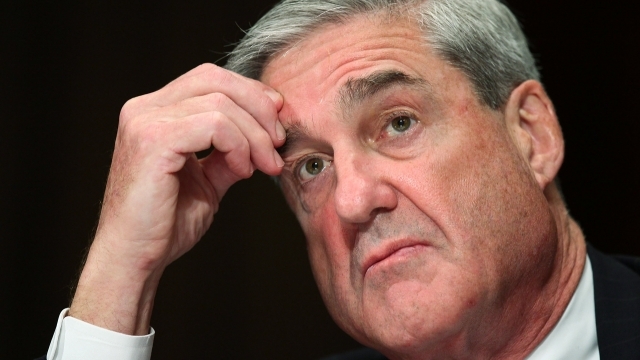 The Department of Justice released the highly anticipated redacted version of special counsel Robert Mueller's report Thursday morning. So, now what? Attorney General William Barr repeatedly said Thursday that the report found there was no collusion between Russia and the Trump campaign. Mueller didn't exonerate the president of potential obstruction of justice. Only a prosecutor can file charges, and Mueller didn't issue any new charges in the report. Mueller said: "If we had confidence after a thorough investigation of the facts that the President clearly did not commit obstruction of justice, we would so state. Based on the facts and the applicable legal standards, however, we are unable to reach that judgment." Mueller added the president is not protected from obstruction charges under Article II of the Constitution. But it's important to note the Department of Justice has a longstanding policy against indicting a sitting president. So, what does all this mean? It means Mueller's report is essentially a road map, and it's up to Congress to decide whether to further investigate if President Trump obstructed justice. The report even notes that Congress has the power to stop corruption through the political process of impeachment. At this point, it's unlikely the House will choose to go the impeachment route. If you didn't already know — it's pretty hard to impeach a president. No U.S. president has ever been removed from office via impeachment. If the House did move forward with that, it would need a two-thirds majority vote in the Senate to actually remove President Trump, which it currently doesn't have. But House Democrats aren't backing down. They're planning on pursuing their own investigations, and the House Judiciary Committee has asked Mueller to testify before it by May 23. ‘Not my Jesus’: Christian students protest Pence, alarming conservatives — Vice President Pence, an evangelical Christian, has imparted graduation advice to a narrow slice of American students — those gaining degrees from religious colleges and military academies. Special Counsel Robert Mueller's report describes a Trump campaign staff meeting including Eric and Ivanka Trump in advance of the infamous Trump Tower confab with Russians. Teresa, who shares four daughters with Joe - Gia, 18, Gabriella, 14, Milania, 13, and Audriana, nine - was on a call as she made her way to her Range Rover to leave. Special Counsel Robert Mueller's report says a Russian businessman provided Michael Cohen with information about purported Russian 'tapes' of Trump from a Moscow visit. It’s an 80-year low only because that’s when the subject first began being polled. In reality today’s percentage of church members is almost certainly the lowest in American history. This may help explain why a Catholic priest’s mention of “the body of Christ” this week somehow ended up being translated by the New York Times into “a statue of Jesus.” They probably had no frame of reference. That’s some graph. Normally with data related to matters of religious belief you’d expect to see a gradual slope downward, possibly starting in the 1960s. Not here. Church membership is cruising along steadily for 60 years — and then, in 1998 or so, something happens. Twenty years later, the share of church members across the population is down 20 points. At that rate you’d expect Americans to have completely given up membership in churches by 2070 or so. Causation is complicated, Gallup notes: “A sharp increase in the proportion of the population with no religious affiliation, a decline in church membership among those who do have a religious preference, and low levels of church membership among millennials are all contributing to the accelerating trend.” Churches are losing members in part because religions are losing members — but even people who do belong to a particular faith are less likely to belong to a particular church. What gives? My theory for any ominous social trend that began in the late 1990s is that it must be the farking Internet, which seems goofy at first blush here but less so upon reflection. The Internet may have no direct bearing on religious devotion but it does bear directly on people’s ability to replace real-world communities with virtual ones. If you’re satisfying your need to belong by participating in some online group, you may feel less need to join civic organizations, starting with your local church. Civic groups have also been experiencing membership decline for years, most dramatically and probably not coincidentally among younger adults — the sort of people more likely to spend longer hours on the Internet. That is, it’s not necessarily a decline in religious belief that’s driving the decline in church membership, although no doubt that’s contributing. It’s the decline in real-world community of all sorts. How much of a coincidence can it be that loneliness in teenagers rose 50 percent between 2012 and 2017 as smartphones proliferated and social media became even more ubiquitous? Online communities don’t provide the same sense of meaningful companionship as real ones do, but they’re much easier to join and participate in. The bad supplants the good. One potential flaw in my theory is that America’s “social capital” began dropping long before 1998. Robert Putnam famously diagnosed the problem in 1995 in “Bowling Alone.” Per Gallup’s numbers, churches were surprisingly resilient in retaining members even as other civic groups were apparently hemorrhaging them. But the flaw isn’t irreconcilable with the Internet theory of causation: It may be that Americans who had already severed ties with more secular groups like Kiwanis required a stronger cultural jolt to sever a bond as thick as religious community. The Internet ended up providing it. And now church membership is catching up to declining membership everywhere else. Obviously the Internet doesn’t explain everything. If it did, there wouldn’t be a single-digit decline among Republicans versus a 23-point decline(!) among Democrats, to the point where church members are now a minority of the party. Religiosity matters here. Speaking of which, although men and women have each seen double-digit declines in church membership, the effect is more severe among men. Just 47 percent now count themselves as church members, i.e. a clear majority of an entire gender no longer belongs to a local religious community. And men are more likely to be Republican than women are, remember. If being right-wing were more closely tied to religious faith, we shouldn’t see numbers like these. What we’re getting here is a hint of a Trumpier, less Christian GOP. It makes sense that the president, at least at the time of his candidacy in 2015, wasn’t a member of a church either. 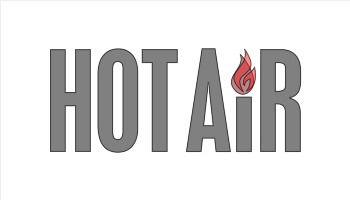 The post Gallup: Number of Americans who are members of a church is in steep decline, at 80-year low appeared first on Hot Air. How We Characterized Michael Cohen's Testimony — This Jan. 18, a day after BuzzFeed News reported that Michael Cohen told prosecutors that the president had directed him to lie to Congress, the special counsel's office issued a vague but forceful rebuttal of our story. Charles Massey and his service dog, Jedi, entered a Lyft on April 6 in Grand Terrace, California. The unidentified driver demanded Massey and his dog get out fearing Jedi would damage his seats. On Thursday, Senate Majority Leader Mitch McConnell announced he'll introduce federal legislation to raise the legal age to buy tobacco products to 21 after the Senate returns from recess. One of the most important aspects of McConnell's expected proposal is a focus on limiting underage access to vaping products, which would also be held to the new age limit. The bill would be the most broad-reaching example yet of so-called "T21" tobacco laws, which have so far only been enacted at state or local levels. Fears of teen tobacco use have grown since the CDC reported the number of high school students using tobacco products grew by nearly 38% in 2018. The CDC attributed this rise largely to the growth in popularity of e-cigarettes. Use of those products grew by around 78%. McConnell said there would be an exception in the bill for those under 21 who are members of the military. 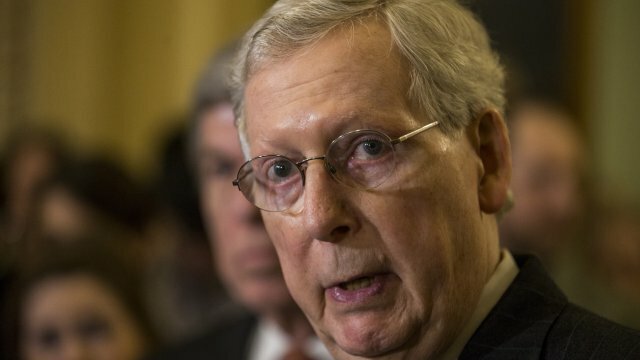 The legislation, which will be called the McConnell Bill, is expected to be introduced in May. The pair, main, issued a joint, blistering statement in response to the 448-page report. In it they outline 'at least four significant ways Barr (inset) misled the public'. Why does he need aides to keep an eye on it? Judging from his Twitter feed, he watches it like 14 hours a day. Plus, doesn’t the 9 p.m. guy basically work for him? If he wants to know what’s going on behind the scenes at FNC, he should ask his shadow chief of staff during their nightly phone call. If he was suspicious of disloyalty at Fox before, though, imagine his reaction when he finds out what Chris Wallace said this morning. [P]rivately, President Trump had been raising these questions of institutional loyalty, on-and-off, since at least the middle of last year. Several people who’ve heard him do this view it as more of a gutcheck than a loss of faith, and as yet another indication that Trump can interpret even the smallest deviations as a slight or a betrayal. Totally true, although there’s some risk for Trump too in taking on Fox. It may be that Fox viewers are so set in their viewing habits that they actually wouldn’t turn the channel, even for a right-wing alternative like OANN, at Trump’s urging. He might end up boosting the audience’s sense of dissatisfaction with Fox but not actually cost them much in ratings, which would make him look weak by suggesting he has less influence over his own base than everyone suspects. The other risk is that Trump declaring war on Fox would encourage Fox to declare war on him, or at least the news side of the network. His base is waaaaaaaay bigger than Fox’s is — he got 63 million votes three years ago whereas Fox averages around 2.4 million viewers a day, and of course Fox hosts like Megyn Kelly were hard on Trump in the 2016 primaries with basically no damage done to the candidate at all. But not having FNC as a dependable ally on TV every day would leave him without any allies in the top tier of cable news networks. OANN later deleted that tweet but it seems to have had the desired effect: This morning Trump encouraged his Twitter followers to watch Bill Barr’s press conference on Fox News — or on OANN. I bet that didn’t go unnoticed at FNC either. Just the president reminding management that he’s willing and able to promote the competition if they continue to displease him. And so now we wait to see what Fox will do about the town halls it seems to be planning with Democratic candidates. They did so well with Bernie’s hour on Monday night that they’re hungry for more. Amy Klobuchar has already been booked and Pete Buttigieg signing on seems inevitable. If Trump tweets something like, “Sad to see non-fake news network Fox promoting open-borders pro-crime Democrats! OANN never does this!”, what will Fox do? Scale back its ambitions for other town halls with Dems or forge ahead and call his bluff, believing that not even Trump’s love can make OANN into a serious cable competitor? The post Report: Trump telling aides, “Keep an eye on Fox News” appeared first on Hot Air. Gwyneth, who is making a reputation for herself as a witty Instagram commenter, has once again been featured on the popular account Comments by Celebs.